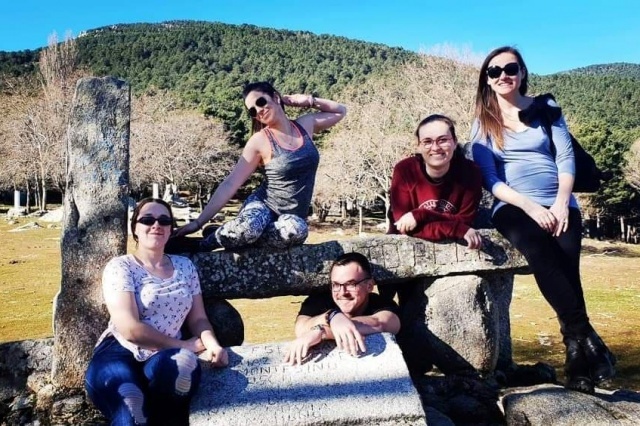 Andrew Piper explains why he spent New Year in Madrid with some of the LEAP team. LEAP Sports Scotland have had an exciting New Years in Madrid, Spain. Why you ask? Well, they were delivering a training course they developed about Rainbow Youth as a project for the ERASMUS+ Program. This opportunity saw two of LEAP’s team members conducting the course, Hugh and Asier and two volunteers partaking in the course, Ashley and myself (Andrew). The project had participants from all over Europe, from Scotland to Lithuania, including samples from six other countries. It was a wonderful melting pot of different cultures all coming together for a topic that we all felt passionate about. Rainbow Youth. Now, to kick things off I will give you some background about the Rainbow Youth Training Course. It was created by LEAP in 2017 and is an introductory training course for youth workers around working with LGBTIQ+ young people. It was first run in Glasgow but has now taken the international stage in Spain. The course is a fun and interactive way to help very serious topics around gender and sexual identity be explored in an adult learning environment. I think that’s pretty cool! So off we go, the plan was for Ashley and me to meet Hugh and Asier in Madrid. Ashley and I decided to see the countryside so we took the scenic route via Valencia (Don’t ask, it was about 15 hours of commuting!, I posted a photo on facebook of each time we got on a different form of transport, 7 in total). When we had all met up we headed to our minibus to meet the other participants and began the voyage to our location in Los Molinos. Little did we know that Los Molinos was 55 kilometers from Madrid, uphill. What an adventure! We arrived at our hotel and we had found where we would all sleep, eat and learn for the next seven days. A big mish-mash of people from across Europe learning about ourselves, youthwork, sexuality, gender and the LGBTIQ+ community. As the days progressed the different characters began to emerge. With all the different cultures in the mix, it made for a very entertaining time. Much to our luck, New Year’s Eve occurred in the middle of the training so it allowed for us to let our hair down and experience a little bit of how each of the countries celebrates new years. I will tell you this as I found it fascinating, there is a tradition in Spain wherein the 12 seconds leading up to midnight you have to eat a grape at each second. It was hilarious and very very rushed but we all got there! In terms of what we were learning, and as being a member of the LGBTIQ+ community I was fascinated to see how Hugh and Asier covered the content. They managed to do it in very realistic and understandable terms. They worked brilliantly to convey concepts that some of the participants had not even heard of prior to the training. Hugh was very respectful in ensuring it was a safe space to learn and Asier’s delivery made the content memorable with his own injection of comedy. I’m not going to rattle off too much of the content as this was one of those courses you really just need to do. It definitely enlightened me and taught me a lot about working with Rainbow Youth and myself. As the week came to a close we experienced a cultural night where each of the countries displayed goods and foods from their home lands (Scotland totally won, and Lithuania has brilliant cured meats). Many many rounds of Jungle Spin, a sore thumb, epic learning and some hearty soup later, we were making our way back to our home countries. A few good friends were made, cultural enlightenment and becoming a better human knowing more about Rainbow Youth. As the dust settles and I continue to reflect on this experience it has made me want to do more and more with the LGBTIQ+ community. I am so grateful to LEAP Sports Scotland for bringing me onto this project, it has inspired me to do so much more. Gracias por leer y hasta la próxima, adiós. Written by Andrew Piper on 22nd January 2019. Andrew is a volunteer with LEAP Sports. Originally from Australia, Andrew has moved to Glasgow and began volunteering straight away. Andrew's sport is trampolining and he is currently training to be a personal trainer.